Artist Rene Gonzalez, who graduated in June 2015 from our BA Fine Art, is the winner of the Clyde & Co Art Award Blank Canvas Competition. 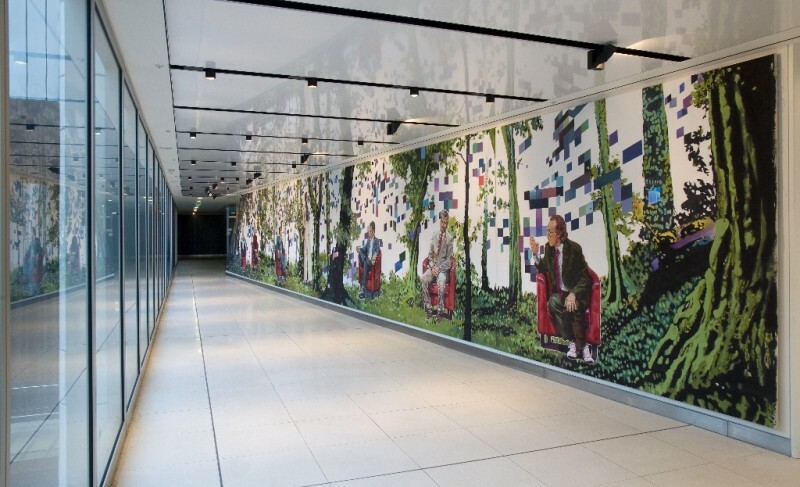 This national competition is open to graduating students, who pitch proposals for artwork to fill the 18 metre long wall at the heart of the firm’s London offices. 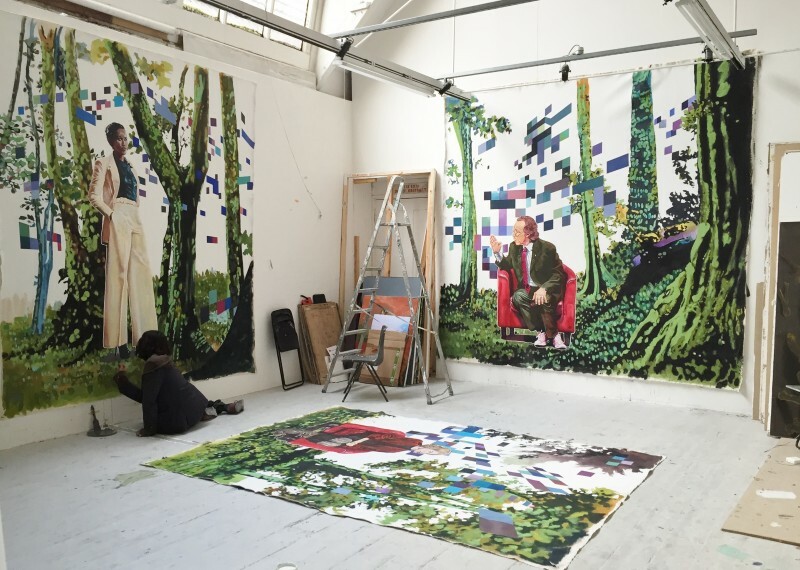 Rene’s work, titled ‘To my one, sole desire’ depicts portraits of public figures almost having a conversation in a fictional forest, inviting the viewer to step into the artwork and engage in the dialogue. 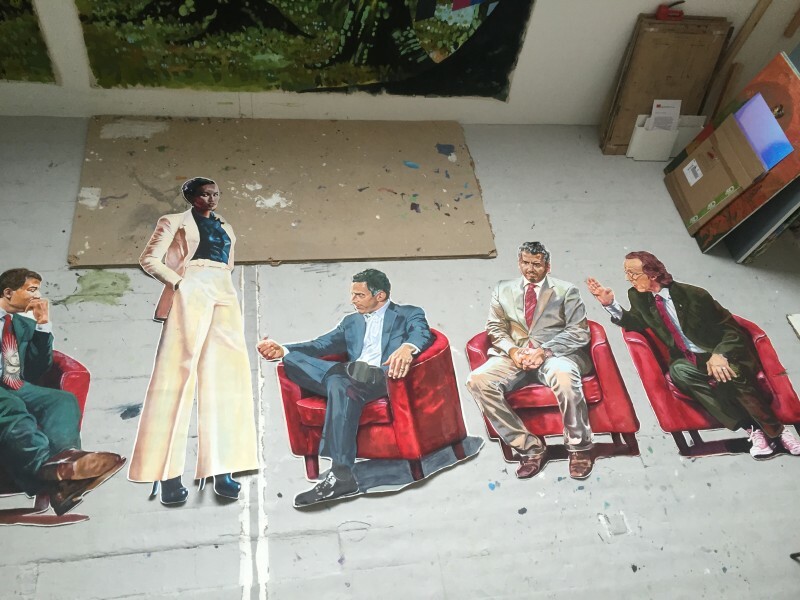 Rene developed the art work in the Art School’s spacious ground floor studios over the summer. 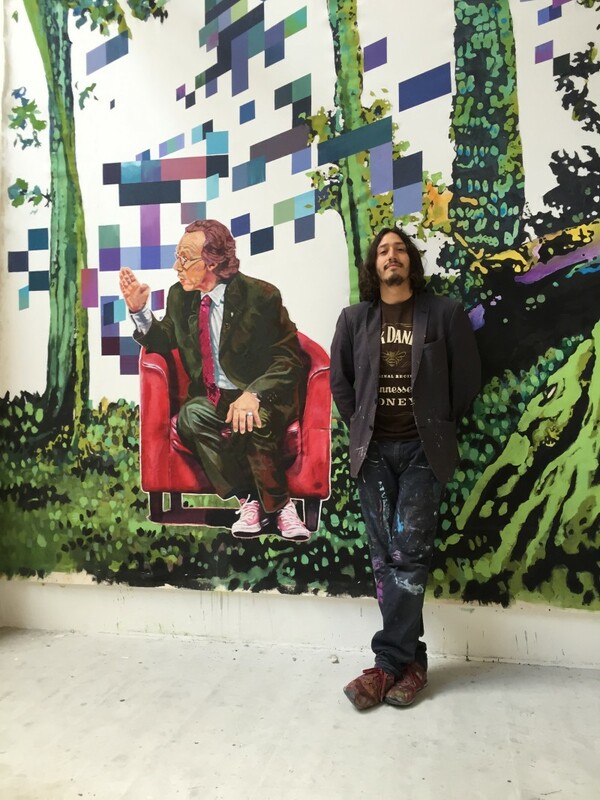 Read more about Rene, his projects and his time at the Art School here.